This release covers the period between 1 April 2017 and 31 March 2018 and contains data on notifiable incidents involving children aged under 18 years. Notifiable incidents are those that involve death or serious harm to a child where abuse or neglect is known or suspected, and also deaths of children in care and children in regulated settings. 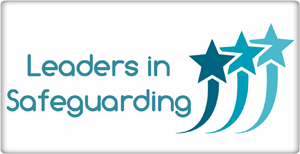 The analysis is based on information provided to Ofsted by local authorities at the time of notification and in any further updates received from local authorities and Local Safeguarding Children Boards. The data is experimental, because the statistics do not yet meet the rigorous quality standards of National Statistics. The number of serious incidents notified to Ofsted has decreased since last year. Between 1 April 2017 and 31 March 2018, Ofsted received 384 serious incident notifications. This was an 11% decrease on the number of notifications in 2016-17 (433) but returning to the level of previous years. The number of child deaths notified to Ofsted has remained similar to the previous year but the number of suicides has increased. Between 1 April 2017 and 31 March 2018, 209 cases of child deaths were notified compared with 211 in the previous year. There was an increase in the number of suicides reported to Ofsted from 35 in 2016-17 to 46 in 2017-18. The number of serious harm incidents notified to Ofsted has decreased since last year. Between 1 April 2017 and 31 March 2018, Ofsted received 175 serious harm notifications. This was a 21% decrease on the number of serious harm notifications in 2016-17 (222).